Worldcon this year was an amazing affirmation of the continued strength of science fiction, fantasy and dark fantasy fiction and a smorgasbord of steampunk and other wonderful costuming. I wish I hadn’t been too busy running from appointment to appointment to panel to take more photos, but here are those I managed to grab, including one of me in the incredible George R.R. Martin Game of Thrones throne. 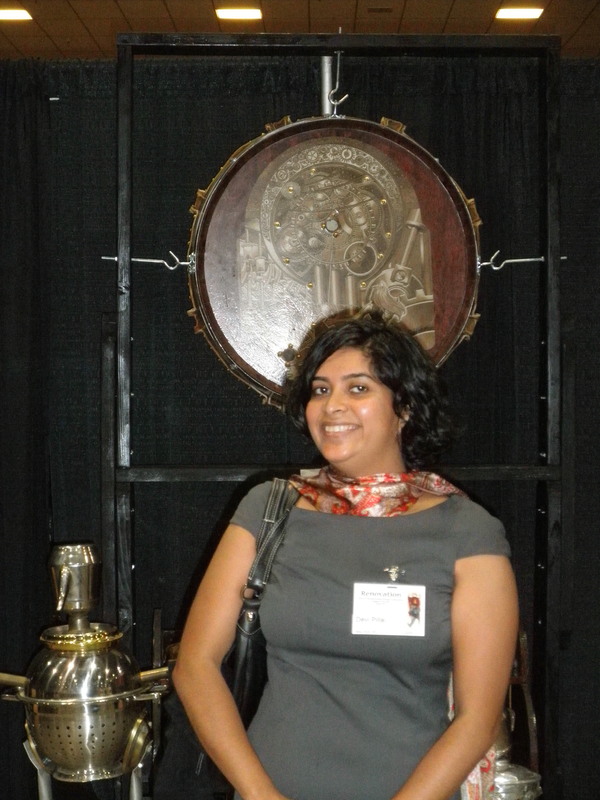 2- Devi Pillai of Orbit with an appropriately fashionable backdrop. 4- Me and N.K. 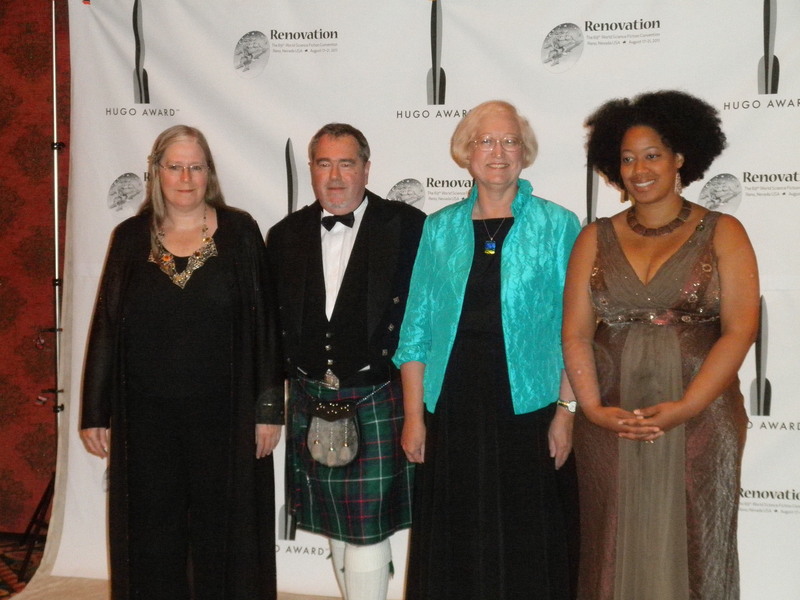 Jemisin at the Hugo reception. 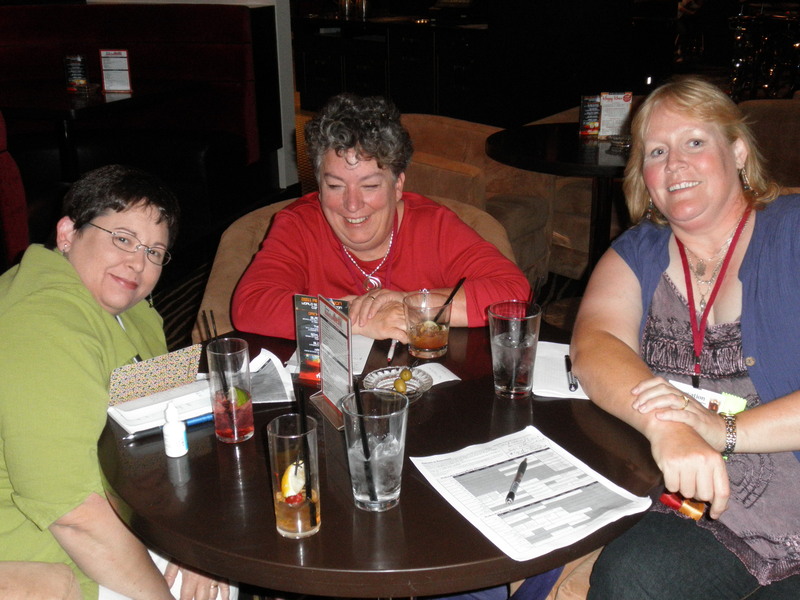 5- Amazing authors Susan Krinard, Carol Berg and Diana Pharaoh Francis. The world stands no chance. 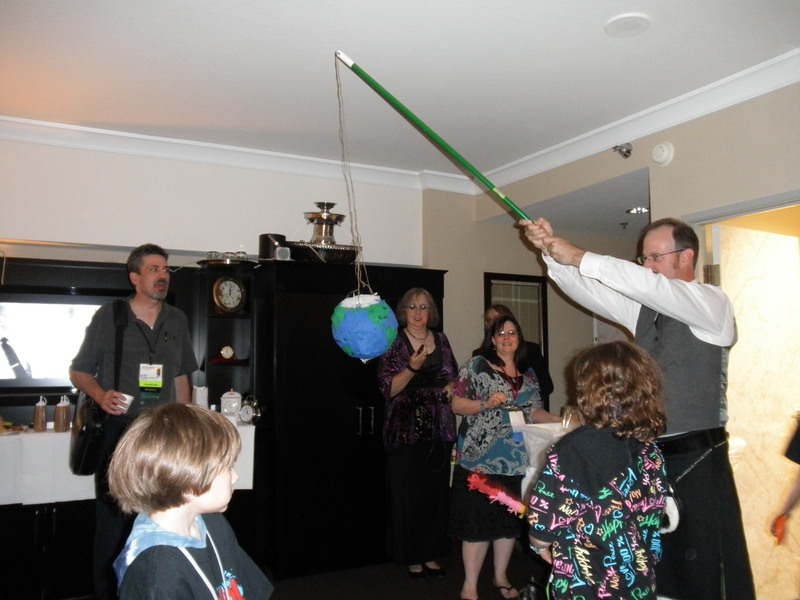 6- The Westercon party with it’s Earth pinata and blazing comet headed for destruction. The party also featured failed doomsday prophecy trivia, apocalyptic films and encouragement to drink the Kool-aid (choices were Gangrene and Jonestown). My two favorite lines from the con came from our New Pro Orientation panel, featuring Brent Weeks, John Berlyne, Sandra Tayler, Ann Crispin and me regarding the role of agents. Brent Weeks: “An agent will even out your crazy.” John Berlyne: “Why would have a dog and bark yourself?” Love it! Hello, Ms. Diver. 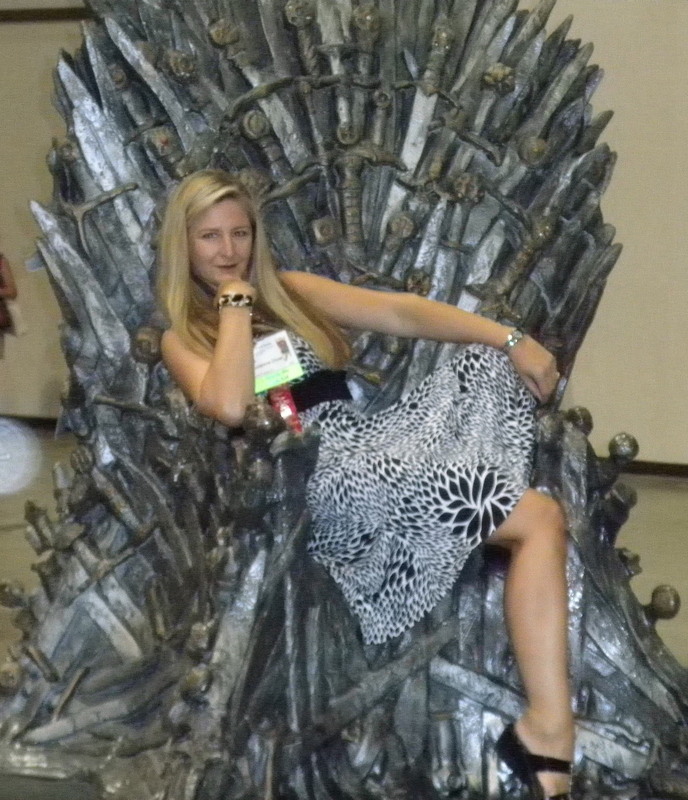 If you look at my 8/26/11 blog entry, you’ll see a flattering picture of yourself (and a not so flattering picture of me) at Worldcon. Thanks so much! 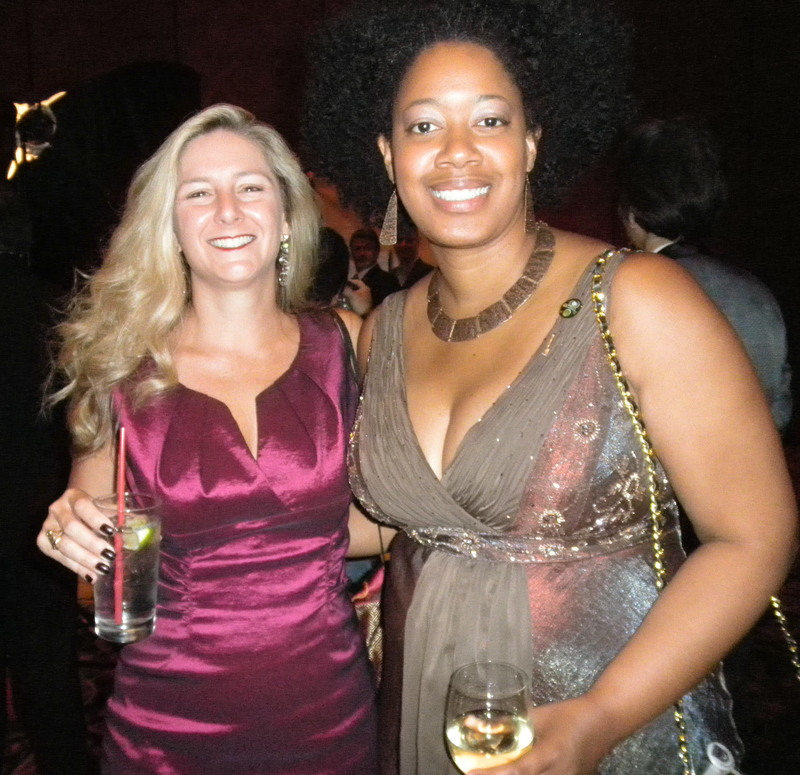 And I think we both came out well in the photo .